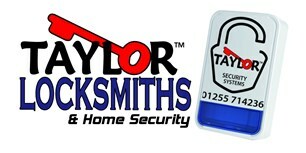 Taylor Locksmiths & Home Security - Alarms/Security, Locksmith based in Kirby Cross, Essex. Taylor Locksmiths & Home Security is a well-established family run business first starting in 2008 with Intruder alarm installations in and around Essex. We provide a professional service 7 days a week with no call out charge and a SAME DAY SERVICE. We are extremely proud and courteous in the work that we do so please rest assured, when you choose us, you get a real professional that takes pride in our name and every aspect of the job. We are trusted to carry out work to the highest standard with total integrity throughout. We have contracts for local schools, estate agents and surgeries.